Our doors and phone lines are open from 08:00 through to 18:30 on weekdays. Please note for results you will have to ring the surgery after 10:00. Staff will not be able to assist you before this time. If you need to drop off a sample at the surgery please do so before 10:30 so we can ensure it gets sent off the same day. Changes may apply to the following times due to illness or staff holidays. These services are there for you medical needs when the surgery is closed or you cannot make it to one of our routine sessions. NHS 111 offers free expert health information and advice 24-hours a day on by ringing 111. This service is available 24 hours a day, 7 days a week. You will be assessed by a member of their team and triaged into the appropriate local medical service. For deaf people and those heard of hearing, a telephone service is available on 0845 606 4647. If English is not your preferred language, you can choose to use a confidential translation service. You can also see a GP for treatment, seven days a week for minor illnesses and ailments. Sheffield NHS Walk-in Centre, Broad Lane. For less serious injuries, such as sprains, cuts, grazes. Whatever the day or time, if you or someone else experiences severe chest pain, loss of blood or suspected broken bones, go to your nearest Accident and Emergency (NGH) department or call 999. Emergency services are very busy and these services should only be used in serious and life threatening situations. Your local pharmacist is a highly trained healthcare professional and can give you advice on common illnesses and the medicines that you need to treat them. Most now have a dedicated quiet area if our wish to discuss more private matters. Many pharmacies operate extended hours on a rota basis, open weekends and evenings. 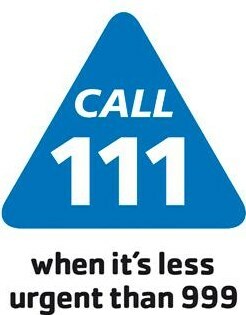 To find your nearest pharmacy visit www.nhs.uk/service-search or call 111.